“News spread like a wind ruffling hair and rattled the Piedmontese stands at Vinitaly. It upset glasses, bottles and old certainties,” wrote the Italian journalist, Roberto Fiori in La Stampa in April. Someone had just paid more than €2 million (£1.75m) for half a hectare of a top cru in Barolo DOCG. This eye-popping sum, more than three times anyone had ever paid for a vineyard here, has certainly provoked strong feelings among local producers. It also proves just how hot this pure-bred Nebbiolo has become. The twin DOCGs of Barolo and Barbaresco in the Langhe hills of southern Piedmont are on a roll. From 1990 to 2013, production of both wines has more than doubled, to 13.9 million bottles for Barolo and 4.68m for Barbaresco. But for a painful, post-crash blip in 2009/10, selling prices have risen steadily following a string of good vintages. Grape prices have jumped from about €3/kilo a year ago to €5.50/kilo after the short harvest in 2017, according to David Berry Green, Barolo resident and head of DBG Italia. He predicts this will lead to a wholesale price of around €11 a bottle, which doesn’t bode well for the bargain basement Barolo you can still find in Aldi and Lidl for £9.99. To quench the demand, Nebbiolo has spread in all directions in Barolo and Barbaresco DOCG at the expense of Barbera, Dolcetto, and some of the remaining woodland that’s home to the region’s famous white truffles. Nicola Argamante, president of the promotional body Vini del Piemonte, and owner of Podere Ruggeri Corsini in Barolo, says: “We’ve not reached the maximum, but it’s very close. It might expand by 1% a year at most.” According to Berry Green, the Consorzio has limited new Nebbiolo plantings to 20ha a year, while some of the big Barolo bottlers are lobbying to expand the DOCG. “That’s never going to happen,” says Argamante. “Well, not in my lifetime.” With around 100 hectares in Barolo, Fontanafredda is the biggest vineyard owner, and Roberto Bruno, its managing director, says: “We’re moving to specialisation like in Burgundy, and within 10 years you’ll probably find only Nebbiolo here.” Of course, everyone mentions Burgundy because of the striking similarities between the ancient homeland of Pinot Noir and that of the equally ancient Nebbiolo, both produced by small, quality-orientated family growers. The Italian grape can be as beautifully perfumed as the best Pinot Noir, perhaps more so, and of all grapes is possibly the most sensitive to its terroir, which explains why it has barely travelled beyond Piedmont. Some Nebbiolo is grown in Australia, South Africa, Washington State and even Mexico, but nothing to give a good Barolista such as Argamante sleepless nights, at least not yet. The other obvious Burgundy connection is the market. With prices in the Côte d’Or drifting ever higher, there is a growing pool of disenfranchised Burgundy lovers for Barolo and Barbaresco to tap into. It’s a short hop across the Alps both figuratively and literally – indeed Berry Green claims that he has “never seen so many French number plates in the Langhe as this year”. But David Gleave MW, Liberty Wines’ managing director, wonders whether it’s really such a natural fit. “Nebbiolo is quite structured and mineral, and it doesn’t have that lovely fruitiness of Burgundy,” he says. “In style and flavour it’s savoury rather than fruity, but it is beautiful when you get it right.” Either way, “people won’t necessarily find things much cheaper in Barolo”, says Zubair Mohamed of Raeburn Fine Wines, which has been importing expressions from top producers like Giacomo Conterno for 20 years. “Having said that, there’s still plenty of very interesting wine in Piedmont offering great value, and estates that are really coming up.” Berry Green makes a plea for Barbaresco, which he likens to Burgundy’s Côte de Beaune, and describes as “still undervalued and misunderstood”. As of 2014, the UK accounted for around 14% of exports from Barolo and barely 2% from Barbaresco. Meanwhile, Langhe Nebbiolo DOC has been growing by around 15% a year, and is offering consumers an accessible bridge into Barolo and Barbaresco. “It’s become very important to the economy of the region,” says Roberto Bruno, whose Fontanafredda expression has seen sales double in the past five years. “It’s easier to sell than Nebbiolo d’Alba because the Langhe is becoming a very trendy and well-known appellation.” Within Barolo and Barbaresco it helps maintain quality by playing that crucial role of a second wine, which producers can declassify into, depending on the vintage and vineyard location. 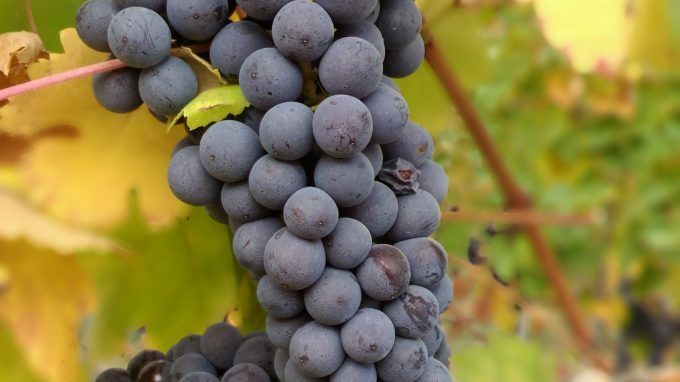 Although it’s been dubbed ‘baby Barolo’, Langhe Nebbiolo can be a very different wine. For instance, the one produced by Aurelio Settimo, a 7ha family property near La Morra within Barolo DOCG, is fresh and unoaked, and has a strong following in the US, claims its producer, Tiziana Settimo. By contrast, her Barolos are aged in botte grande (big barrels) like most these days after the so-called Barolo wars of the 1990s when modernists fought traditionalists like the late Bartolo Mascarello, with his famous ‘No barrique, no Berlusconi’ label. You will now find far fewer barriques being used used, while most of the old guard are not macerating and ageing their wines for quite so long. Today, diversity in wine styles is more about terroir and work in the vineyard than what happens in the cellar. “Most Langhe Nebbiolo comes from outside Barolo and Barbaresco, and many of its famous producers have bought land in the direction of Dogliani and Dianod’Alba,” says Argamante. Old vineyards are being replanted, “and these often cooler zones give the fresher, easydrinking style of Nebbiolo that consumers are after”, says Berry Green, who is also excited by the Roero. This region, just north of Alba, may be best known for its Roero Arneis white wine, but he feels “some of its younger, sandy soils make for smoother, fruitier, more delicate Nebbiolos”. Bruno agrees: “It’s good in encouraging people to talk about Barolo and the prestige of the area because we need to improve the image and price of the wine, but I don’t think €2m reflects reality. At that price you couldn’t possibly get a return on investment.” Berry Green blames what he calls “trophy-hunting industrialists” who are paying silly prices to have land at any cost. He worries that one day the Langhe may lose its soul as the small family growers are swept away by the influx of foreign money and speculation. Ironically, it was the presence of such artisan producers that helped the region secure its UNESCO world heritage status in 2014, which in turn appears to have fuelled the real estate boom. Before leaving the Langhe for Piedmont’s other key source of Nebbiolo (see Beyond the Langhe), another challenge is climate change. In the 1970’s Barolo producers were lobbying for permission to add sugar, now they are doing everything they can to avoid overripeness in hot years. The American wine writer Kerin O’Keefe predicts that producers will return to blending Barolo from different plots to achieve a natural balance, rather than rely on singlevineyard wines. “Fontanafredda has always produced this kind of Barolo,” says Bruno, who says such blends “express the harmony of the terroir”, and believes they can be just as valid as any cru wine. But Nebbiolo specialist Walter Speller predicts that “single vineyards will definitely gain in relevance” adding: “Why would you pay top dollar to then see the vineyard disappear into a generic blend?” No doubt the new owners of that €2m plot would drink to that.